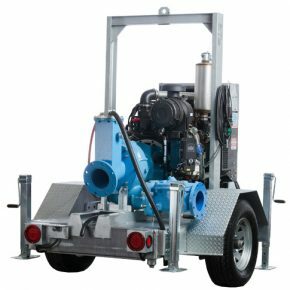 Rain for Rent mobilizes more than 520 pumps and 100 personnel to New York / New Jersey area. On Oct 24, 2012 at the news of a coming “Frankenstorm,” Rain for Rent began to mobilize equipment and personnel from the Western and Southern United States for managed emergency response. What later became known as Hurricane Sandy devastated the eastern seaboard of the United States on Oct 29. The hurricane brought a storm surge and sent 10 foot walls of water through New York and New Jersey, affecting millions of residents and companies in the area and killing more than 130 people. As the storm passed, the flood waters remained and Rain for Rent’s mobilization and emergency preparedness helped residents and businesses across the affected areas. Equipment was dispatched to various sites to support the needs of the Northern New Jersey and the New York City metro area. 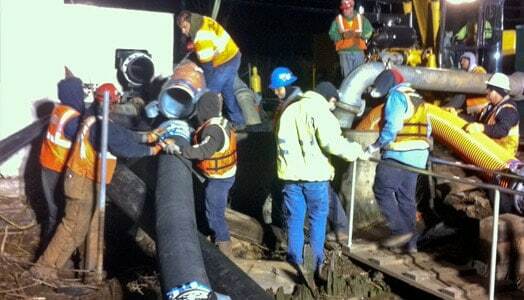 In all, more than 530 pumps were mobilized to the New York / New Jersey area along with100 Rain for Rent employees to help the residents and companies of the Eastern U.S. grapple with dewatering to begin recovery. Tunnels used by vehicles to access New York were completely underwater. Dewatering the tunnels would allow additional support and relief operations access to the city. 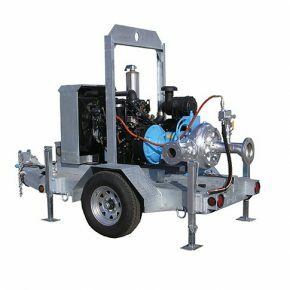 In addition to emergency generator power and piping systems at the Brooklyn Battery Tunnel, Rain for Rent mobilized HH125 and DV150i pumps to dewater the Queens Midtown Tunnel from the Queens and Manhattan sides. 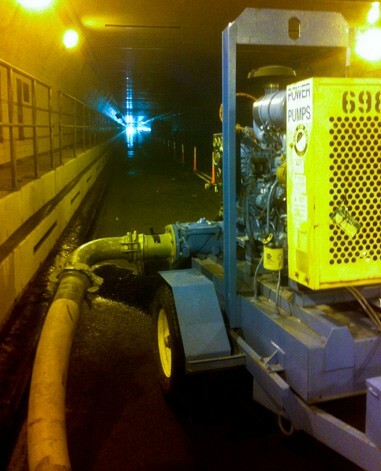 Water had to be pumped through the 1.3 mile long tunnel to discharge back into the ocean. More than 100,000 power lines were downed by the storm and surge. One transmission center flooded that provided electricity for more than 900,000 customers and millions of New York residents. 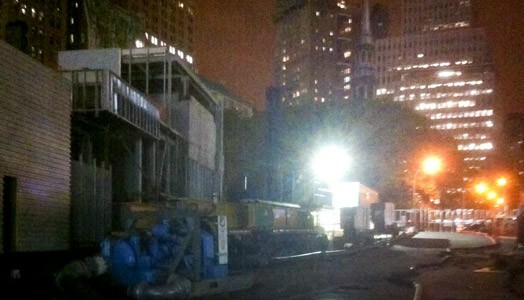 Much of lower Manhattan remained in the dark for days following the storm. 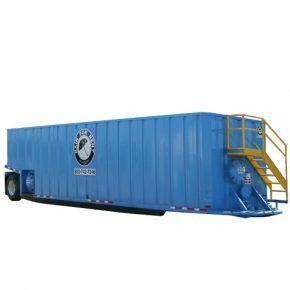 Rain for Rent provided pumping needed to empty the underground transformer vaults to allow repairs to be made and power restored. Three teams worked 24 hour shifts, providing continual pumping for the utility. Fuel supplies in the cities dwindled and Refineries struggled to get back to normal operations. Refineries and a tank terminal blending facilities in New Jersey utilized Rain for Rent to help them salvage their operations and begin producing fuel for the surrounding area. 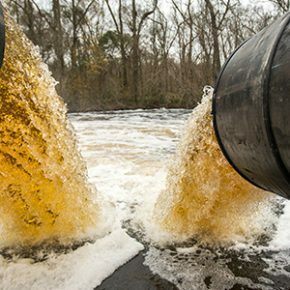 Dozens of pumps, tanks, spill containment solutions and hoses to were used for dewatering needs. Fire suppression systems were provided water by high head pumps, capable of producing up to 2,000 GPM at 150 psi and personnel while the facility was brought back online. 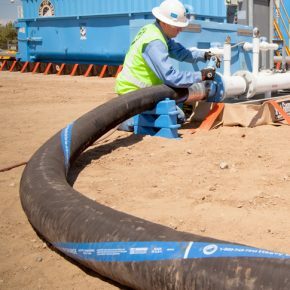 Additionally, Rain for Rent had to recreate wastewater systems in one refinery with two DV150i pumps, sand-media filtration and carbon filtration to lower the total organic compound levels to less than 2 parts per million. The system was designed by Rain for Rent to run at the needed 2,000 GPM to return the facility to operation. Below grade construction at the World Trade Center flooded with millions of gallons of storm and sea water. 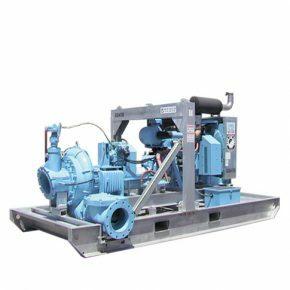 Working with the U.S. Army Corps of Engineers and using DV300i pumps to boost the flow of submersible pumps, construction pit flood levels dropped four feet within four minutes of operation. A major hub of transportation near the port of Newark needed to be drained. There was no access to create a pump station on land and access the tunnel, so a barge was floated in the port. 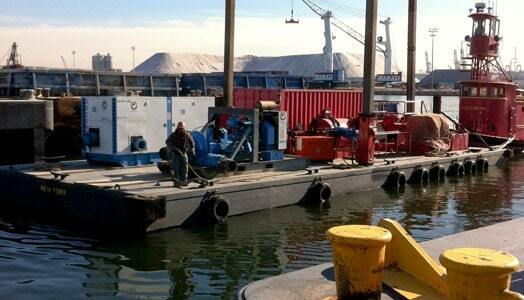 The barge carried two DV300 pumps providing 8,000 GPM of dewatering. U.S. Army Corps Of Engineering divers helped repair valves in the tunnel so water would not flow back in. 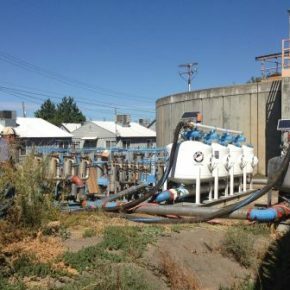 In all, the pumps ran for 36 hours straight, draining all of the water from the train station. Much of the Lower Manhattan basements were flooded by a mix of storm and sea water. Mixtures of oil, fuel and other contaminants in these basements meant the water could not simply be discharged into the city’s storm sewer system. 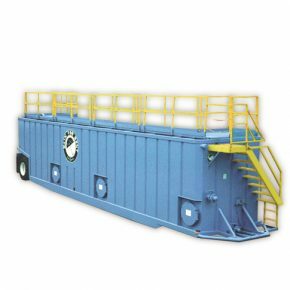 Rain for Rent tanks were used along with air operated diaphragm pumps to assist in the basement dewatering. 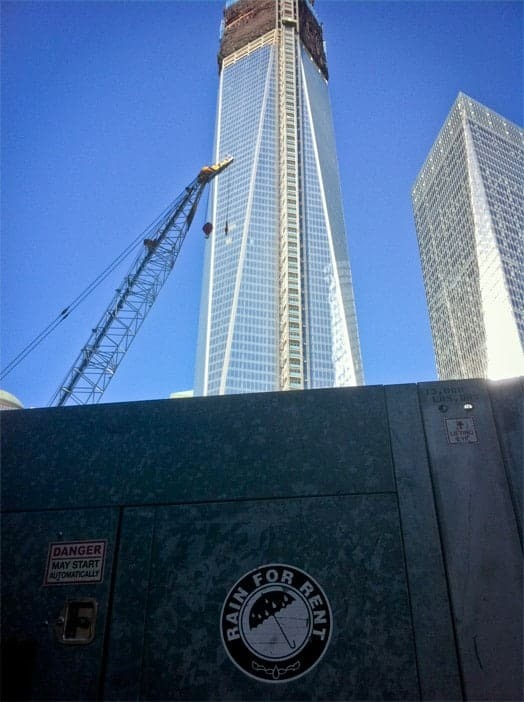 The water was kept in tanks and later removed by vacuum truck in and around the Financial district and Water Street in Lower Manhattan over several days. Rain for Rent continues to provide ongoing support for storm recovery.